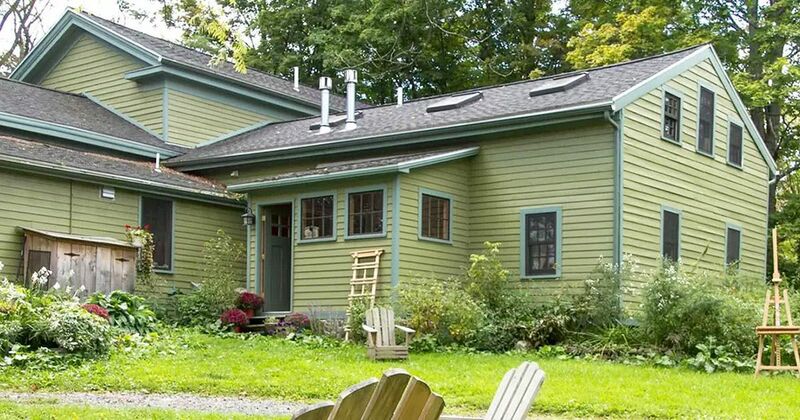 In a small New York state village called Trumansburg lies this wonderful and charming farmhouse. Unlike many other Farmhouses that have a traditional white paint job, this sleeper has a calm green coat that helps it blend in with the 100 acres of natural green foliage. The house was originally built in the 1800s and the fact that it's still standing a testament to the impressive building techniques of the time. Plenty of wild birds and animals call the forested space around the house their home. 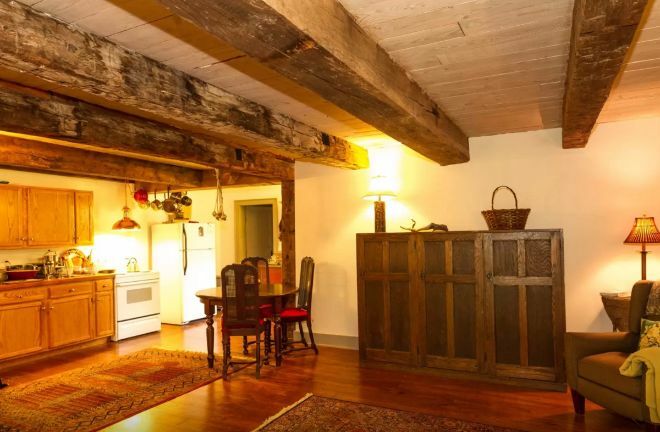 Walking inside, the exposed wooden beams show the home's age. 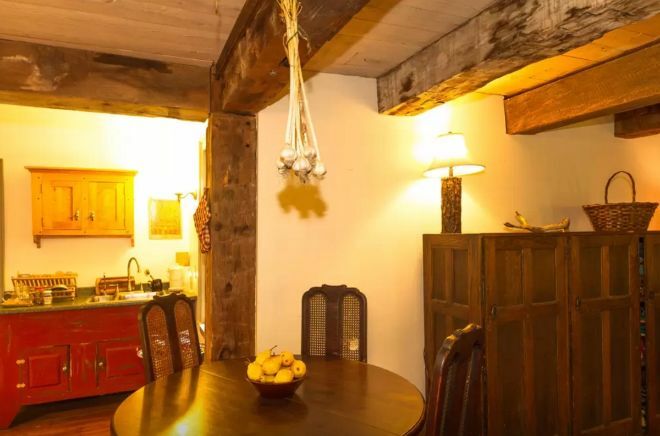 Garlic hanging from the ceiling -- just like how it used to be in the old days. The kitchen is minimalistic, but it has all the features you'd need. 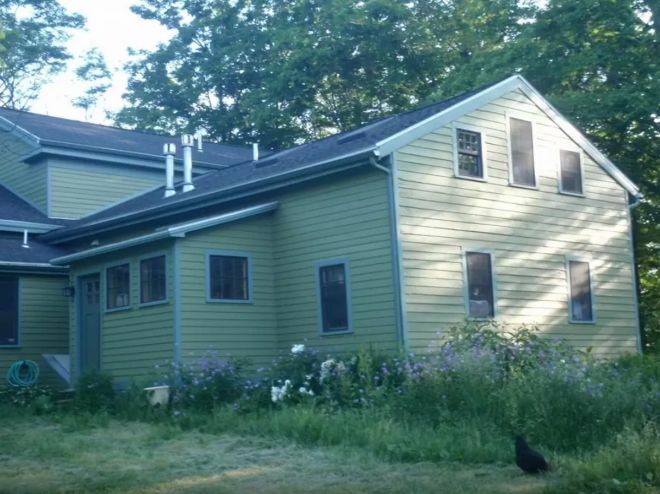 The entire Farmhouse is very cabin-like. 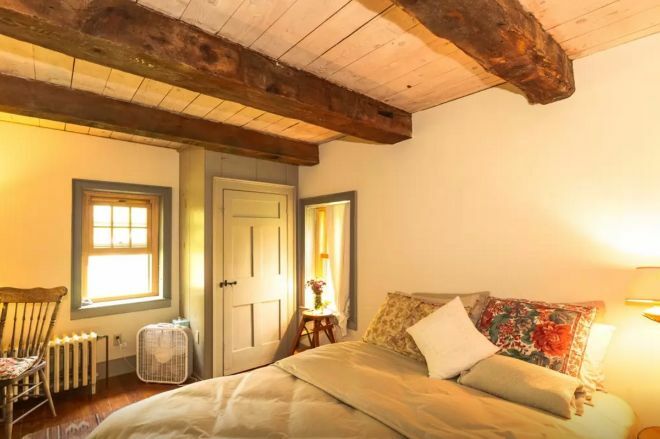 Even the master bedroom has exposed wooden beams. An old rocking chair and a radiator heater provide further proof that this house is truly from another time. 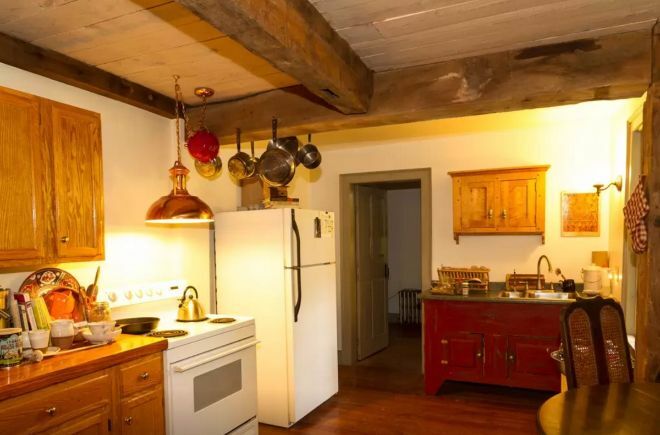 More photos of this delightful old house can be found on its AirBnB page. Did you love this almost 200-year-old classic home as much as we did? Let us know and make sure to share this post with your friends!